Heal Your Church Website | Teaching, rebuking, correcting & training in righteous web design. In case you haven’t heard, Adobe’s handing out some belated holiday cheer. 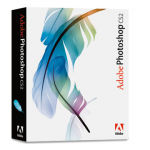 Announced yesterday and still available today, Adobe is allowing you to obtain for yourself a free, legitimate copy of Photoshop and the rest of the Creative Suite 2 — provided you own an existing license of CS2, and need to reinstall the software — no strings attached. Well, unless you think having an Adobe account is a catch. Anyway, apparently Adobe’s tired of keeping the activation servers running to support legitimate installs of the 10-year-old CS2, so it’s decided to just give it away. Sounds great to me..
Tweet from @jpc101 regarding the ‘free’ aspect of the download. Free — or not — I found that much of yesterday, Adobe’s Photoshop and CS2 download page was down, due to popular demand I’m sure. And that’s what this post is about, providing you a technique to download large multiple files without clobbering your bandwidth or browser. For those of you who’d rather do this in the middle of the night, I might recommend creating a batch/shell script of the above. You’ll note that I include the wget arguments the –continue (-c) command to resume getting a partially-downloaded file after getting disconnected, in combination with the –no-clobber (-nc) directive not to delete existing files. This allows me to schedule/crontab a a download at 1am, so when I wake-up at 6am I find files that also may have had to overcome disconnections or disruptions that bumped the download in the middle of the night. Also, for those using a Mac or Linux, you can add a semi-colon (‘;’) after each command and string them together to run them concurrently, though I’d think twice before doing that unless you have a very big pipeline from which to download. I found that on my Mac, the entire process took 15 minutes — quietly and smoothly running in the background. Your mileage and download times may vary. 12 days of Jesus Junk, 2012 Edition, Day 10: Happy Birthday Jesus Christmas Lawn Display Yard Sign Decoration. While the candidate of your choice may not have succeeded, this propaganda poster, I mean lawn ornament a sure winner, especially for those trying to reach-out to their neighbor who spends his Sunday mornings washing his car rather than attending your Sunday school class. And if you play your cards right, you might even get the more litigious members of that pesky Home Owners Association to jump off the codicil cliff when they drive by your ‘vote for Jesus‘ residence. Regardless of one’s political point of view, I think we can all agree that this is a good enough place to put this series to the miserable, I mean merciful end it deserves. So thank you for putting up with my tomfoolery, and hopefully 2013 will bring you and your family His Peace and His Grace, sans all the cruft and crap they’re peddling out there these days. While I no longer find too many instances of the animated gif spinning gold lamé cross, I do see a number of sites who are still ‘flashinated’ with sliding billboards of smiling faces but little in terms of usability and/or what the visitor is actually seeking. Similarly, I’m also see quite a bit of animated gee-wiz implementations of jQuery, which are technically cool, but again, don’t answer the questions nor provide the data a new family visiting town seeks when trying to figure out if their potential pastor is preaching total immersion baptism and/or providing qualified child care while the adults sit in on a Sunday school class or sermon. I’m not saying one shouldn’t use these tools, just … well … don’t get cute with them. Yes, nothing annunciates the coming of the Prince of Peace than caricaturizing his birth in the form of a wild animal known to attack more human beings than bears and wolves combined. The only thing that would make this display sillier were if it not only included moose, but squirrel, Natasha and Boris too. Made with no preservatives, these crunchy characters are nut-free, unless of you’re one of those who insist somehow that the transubstantiation of the Eucharist is somehow a form of cannibalism — when in fact it is merely ‘Bread from Heaven‘ representative of the nature and person of Jesus. Of course, it doesn’t help the Church to fend-off such ‘foolish controversies‘ when stuffing one’s face with carbohydrate rich concoctions made of flour, butter, sugar, eggs, vanilla, baking powder, salt. Who knew the esteemed Saint Nicholas wore ice-blue, snow-flaked boxer shorts? At least that’s what we’re to take-away after beholding a fully blown-up “6 Foot Inflatable Santa Claus Climbing on Christmas Tree Chased by Dog” pictured here. A far cry from the ‘Jolly Old Saint’ who cold-cocked the heresiarch Arius at the First Ecumenical Council of Nicea (AD 325) while Arius was defending his position on the inferiority of Christ. Not that I’m suggesting we adorn our lawns with blow-up depictions of this blessed event, but I wouldn’t think it so bad if we used our Church and/or Charity websites to convey a bit more history over such sophmoric attempts at humor — such a that on display today. Honestly, if I were sending out kitschy cards such as these I could see why I’d only need 10, perhaps even less. Personally, I could think of several dozen off-hand, but that’s not the point. Don’t do that. Instead, make sure there’s some accountability for the content in the process. I’m not talking about yet another committee, just a couple of individuals committed to helping keep the site from myopically becoming a 1-trick pony … or perhaps puppy in this case. Nothing rings in the spirit of the Advent like a ‘punny’ play on a populist term for a prostitute, like the one depicted on the ‘Where My Ho’s At?’ Men’s Long Sleeve Santa Sweatshirt. In its attempt at dark humor is not lost on any volunteer at your local Magdalene House, All Things New, Linda’s House of Hope, and/or Annie Lobert ministry — many whom I would suspect would love to have a conversation at length with anyone who might don this apparel — even on Tacky Christmas Sweater Day — which is celebrated on the 17th of December each year. Just keep all this in mind as you consider places for Christmas donations. It’s time for the Christmas Pageant, and everyone has a part to play, even this sweet baby boy, also known as the ‘Dianna Effner “Jesus: Birth Of A Savior” Realistic Life-like Baby Doll by Ashton Drake.’ Only $199.99!! In a glorious expression of faith, award-winning Master Doll Artist Dianna Effner presents, for the first time ever, her heartwarming vision of the baby Jesus in Jesus: Birth of a Savior Doll. This doll creation is a moving expression of the Baby Jesus on the night he was born, handcrafted of collector-quality fine porcelain and brought to you as a Signature Edition Doll exclusively from The Ashton-Drake Galleries.With completely hand-painted features, this baby savior doll has wisps of baby-soft hair, long baby eyelashes and tiny, hand-painted fingernails and toenails. Still not buying it? Yeah, neither am I. Not that this product isn’t skillfully crafted or made, but rather it reminds me of oh-so-many church and charity websites that get so lost in the ‘art project’ aspect of their delivery, that they lose focus of the original goal. Me, personally? I’m thinking a slightly more Middle-Eastern baby on a slightly less luxurious bedding might make things a bit more ‘realistic’ and ‘lifelike’ for me. But that’s my humble opinion, your’s may vary.